Today I went along to the Bloggers BBQ held by Kids Business. It was a great event, and I had a lovely time talking to some of the brands that were there. One of the brands that I was happy to meet was Passage Foods. They have a wide range of sauces and kits to make a whole lot of quick yummy meals for the family. While attending the blogger’s event we could sample some of these foods from their range. 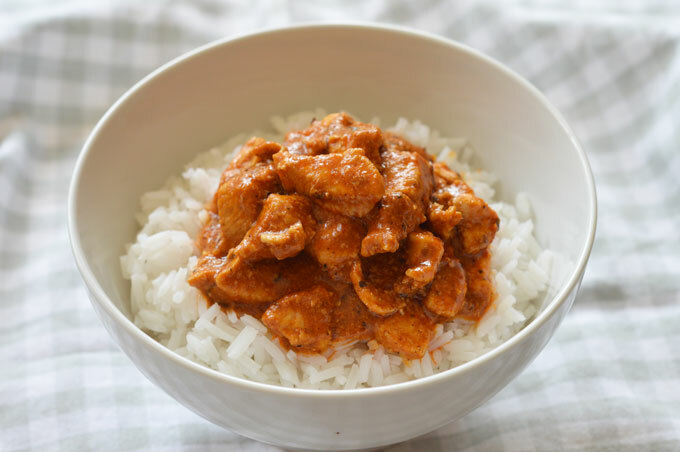 Hubby loved the Butter Chicken and went back for seconds. So I knew we had to make this for a dinner during the week. 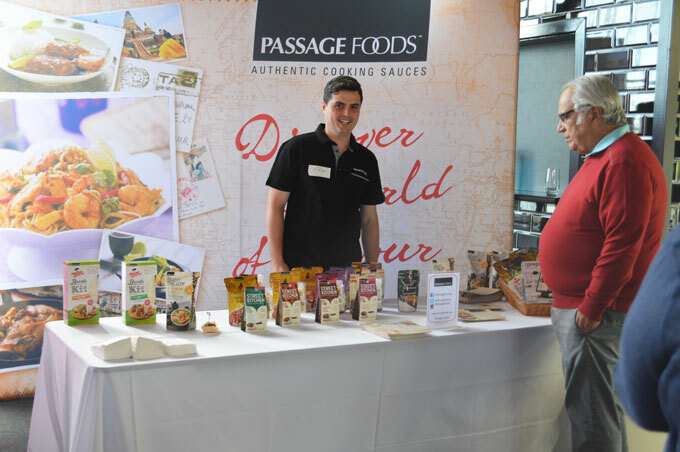 Before leaving the Passage Foods stand, we were given a goodie bag which included some of the sauces that we could try. 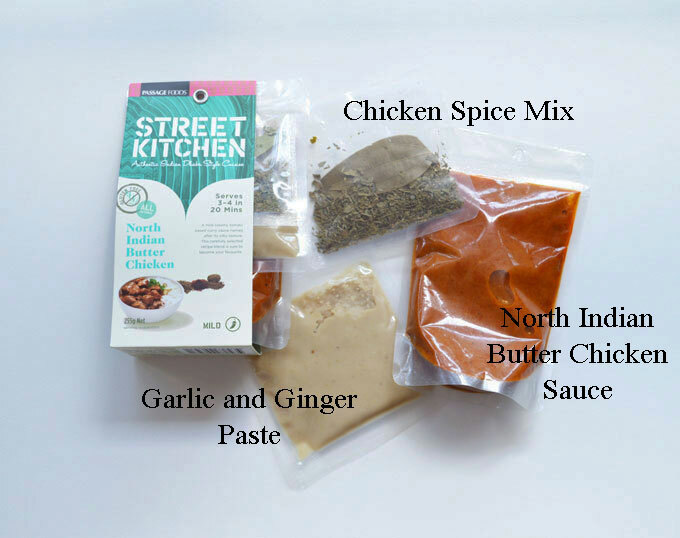 To hubby’s luck, it included a packet of the Street Kitchen North Indian Butter Chicken. 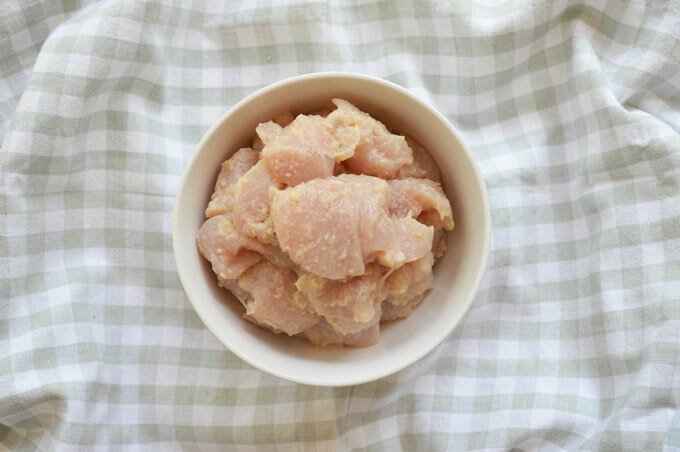 Marinate the chicken with garlic and ginger paste and set aside (we marinated our chicken for about an hour). 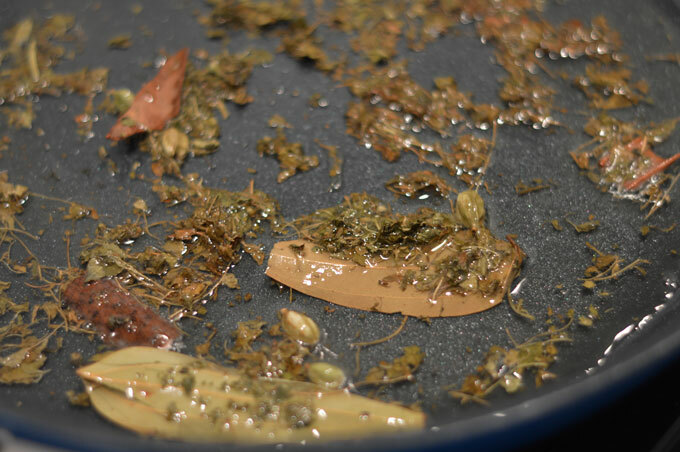 In a medium frypan, heat the oil. 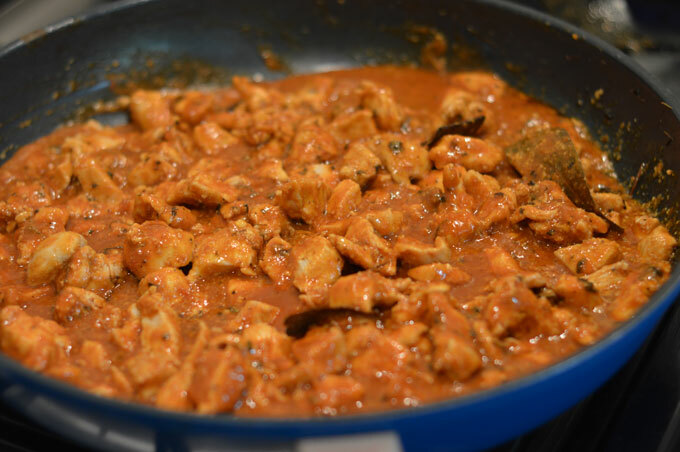 Add Butter Chicken Spice Mix to the hot oil, leave for 5 seconds then add the diced chicken and saute until sealed. 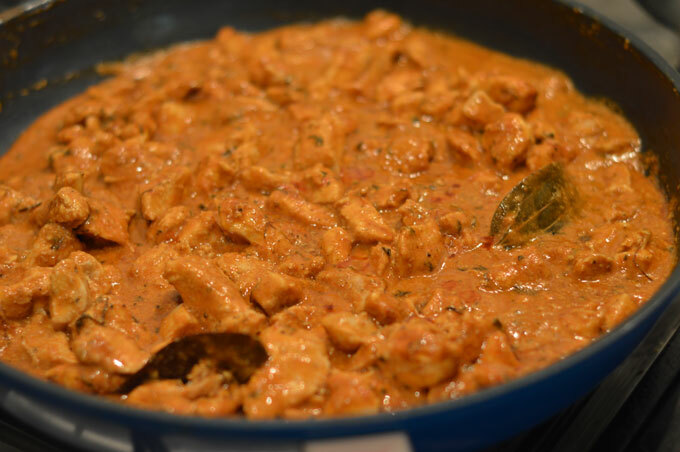 Add North Indian Butter Chicken Sauce, stir then reduce heat to simmer, stirring occasionally. Simmer until meat is fully cooked (15 - 20 mins) then serve on a bed of rice. While cooking this meal, the aromas, which were coming out of the kitchen, were fantastic. I love it when a meal smells so good in the midst of cooking. The kids loved it as well and went back for seconds. When they go back for more I know that it’s going to be asked for again. It was easy to prepare and quick to make. A perfect family dinner. The smell was sooo goood Jenny! 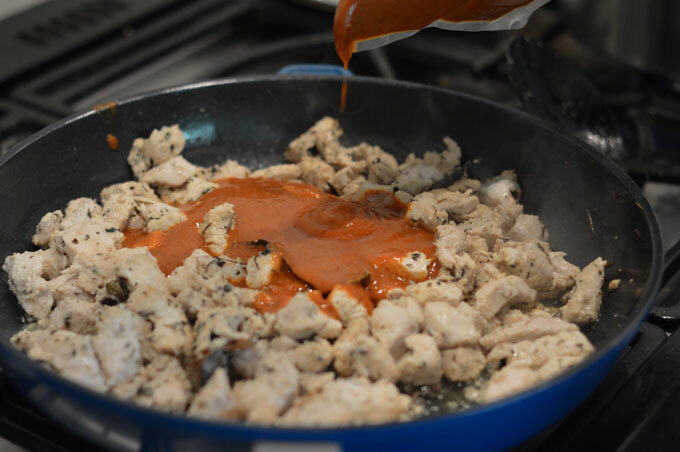 I like cooking with sauces and kits that are easy to prepare and have most of the ingredients ready. I still like to cook meals without the packaged kits etc but they definitely do help when the kids are hungry for dinner after being at school. It makes it a lot easier. It was easy to make and delicious Rachel. I will be making again for sure! I hope that they do send it to New Zealand. I like meals that are quick to prepare and that the kids love it too. 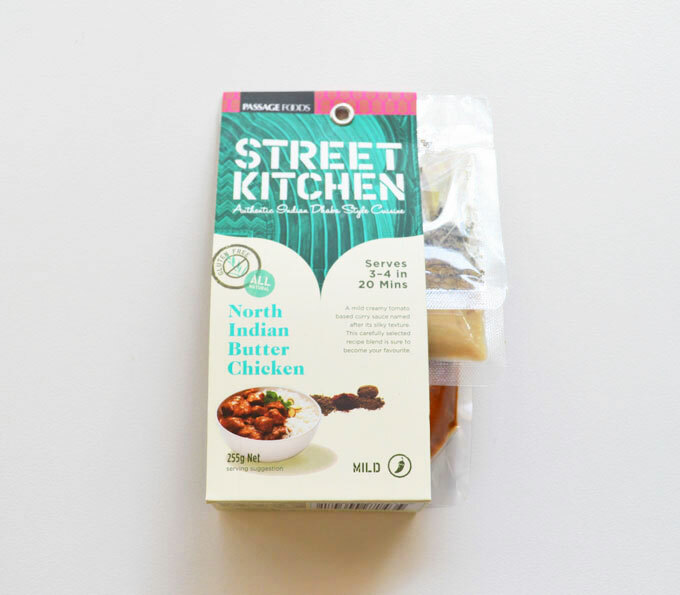 It’s good to find a pre-packaged kit that is full of flavour and tastes great. Oh wow! What a cool little pack of spices! I love Indian food! It was a great kit Stephanie. 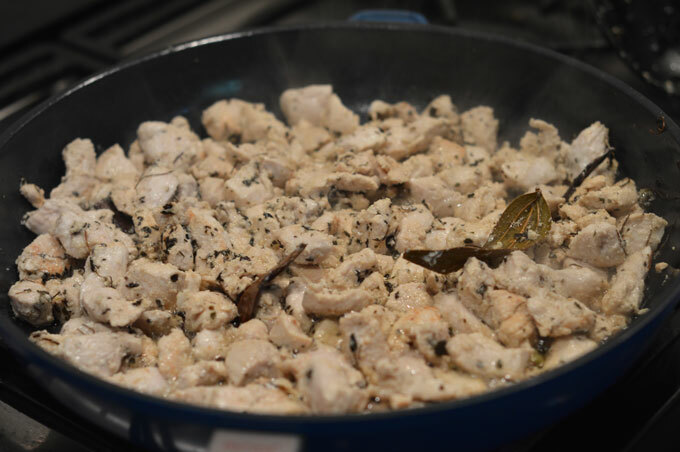 I am always looking for something that I can cook that is easy and quick but still has flavour and taste. The kids want me to make this again which is good. It wasn’t too spicy either. I think my homemade naan bread would go lovely with this too! I like making something different for our family meals. When we make this meal again I am going to make some naan bread to go with it. 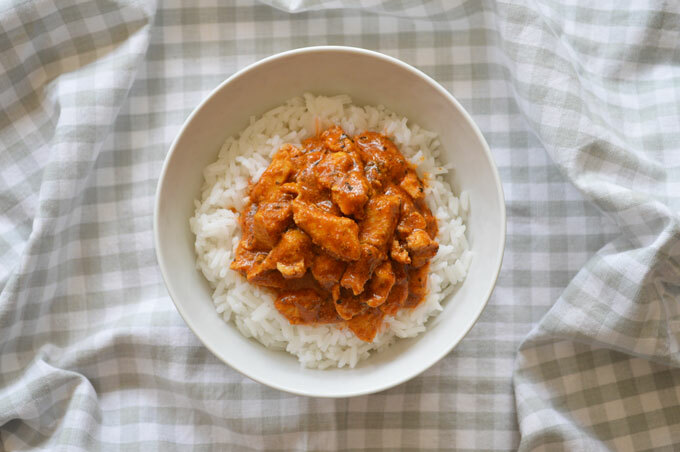 An Indian curry and rice always goes well with naan bread, yum! Yum, this looks delicious. Do you know if they had any flavour enhancers in the ingredients (anything with a 600 number)? Hi Malinda, there are no ingredients listed with a 600. All Passage Foods are made with natural ingredients and are gluten free.